As National Apprenticeship Week (March 4–8, 2019) once again approaches, the critical shortage of qualified HVACR technicians within the U.S. continues — with an estimated industry shortfall of 118,000 technicians by the year 2022. Recruiting apprentice HVACR techs remains as challenging as ever, because students with an aptitude for technical trades are not being encouraged to pursue vocational or technical training. Students need to be convinced that an HVACR career path is a viable alternative to a four-year college degree, offering them a chance to work on new and emerging technologies in meaningful careers that contribute to society. What’s stopping them? One is the perception among American high school students that a college degree is more valuable and prestigious than an apprenticeship and a fast track to a career. The other is that we collectively as an industry are not adequately presenting them options. Here are five great reasons for a high school student to consider becoming an HVACR apprentice. College is more popular — and more expensive — than ever. At least two-thirds of the high school class of 2020 intend to go to college; this represents the highest rate of secondary education attendance in U.S. history. They — and their parents — know that college is getting more expensive, while financial aid is shrinking. The average student graduates with an average of $40,000 in student loan debt — just as they’re about to begin looking for an entry-level job. What isn’t as well-known is that about half of all college students drop out without earning a degree — and with no real job skills. Yet schools, guidance counselors and peers continue to push students straight to college. There is an alternative: A fast start — with no debt. When many “traditional” students are just starting their sophomore year in college, some of their high school friends will be beginning their careers as HVACR apprentices — with average entry-level salaries ranging from $47,000–$60,000 a year, depending on skill set. It’s a matter of supply and demand, and being an HVACR tech is a vocation in extremely high demand. It’s time high school guidance counselors had information about alternative apprenticeships on hand. An apprenticeship is a wise path for students who can use their heads — and their hands. A bright student with some high school courses in math and/or physics can learn to read a blueprint and earn an HVACR apprentice certificate at a community college in six months to a year, at little or no cost — and with no student debt. Others can even start straight out of high school, getting paid while earning their certificate on the job. In an industry that needs 118,000 new HVACR apprentice technicians, their certificates mean they are almost certain to get job offers from almost any company to which they apply. As an apprentice, their future career tracks are limited only by their ambition and drive (or lack thereof). An apprenticeship is a top-notch education. An HVACR tech certificate may not sound as glamorous as a college degree. But four years of on-the-job training in a technical field are easily the equivalent of a four-year academic degree. HVACR techs are responsible for maintaining healthy environments at major medical centers. They work in the aerospace industry and in high-tech corporations. 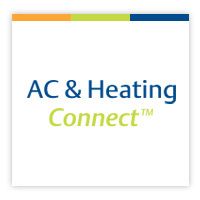 HVACR techs know how to maintain and repair 12-ton coolers, heat pumps, furnaces, ultralow-temperature freezers and refrigerators; they can manage the electronic systems that connect them; and they can run the software and internet programs that monitor and control them. HVACR techs work with advanced technologies, doing essential work that significantly affects people’s lives. The HVACR industry is working with educators, unions and contractor organizations to make it even easier to earn apprentice certification, with more online courses, night classes and technically advanced curriculums to create valuable on-the-job training. Even the federal government has stepped in, with the Strengthening Career and Technical Education for the 21st Century Act providing funds for students who are looking for more career-oriented education after high school. Click-and-collect fulfillment requires new or improved refrigeration strategies to ensure food quality and safety. I recently discussed these approaches for Progressive Grocer magazine. Read the full article here. To meet consumer demand for convenience, many food retailers are entering the omnichannel arena with a click-and-collect, curbside pickup option. This new model comes with high consumer expectations, especially for maintaining maximum freshness of perishable items. As we know, even the slightest deviations in holding temperatures can quickly impact perishable freshness and negatively affect a grocer’s reputation. One bad experience can quickly erode consumer confidence, spread through word of mouth, and even inflict long-term damage on a brand. But when executed properly, a positive click-and-collect fulfillment process can result in significant business expansion and a thriving new revenue stream. It’s important to realize that this popular fulfillment model can place unique stains on a refrigeration system, such as maintaining ideal temperatures and humidity conditions in the face of frequent cooler door openings. Ensuring success will mean implementing an optimum refrigeration strategy. Here are a few things to consider when selecting a refrigeration system for click-and-collect fulfillment. Modern control systems are ideal for click-and-collect applications to help retailers manage food quality from the time it enters the store to when it’s delivered to a customer. Best-available solutions combine facility management and supervisory controls with user-friendly software and mobile apps to deliver always-on, remote temperature monitoring and comprehensive management of store systems and refrigeration. These controls help operators keep temperatures low during active fulfillment periods and adjust setpoints back up during non-peak hours to save energy during low-use hours — maintaining optimal conditions for perishable freshness. Monitoring services can detect system performance issues early and notify designated store managers via mobile alerts, enabling them to make informed decisions and quickly take corrective actions. Click-and-collect refrigeration may require facility operators to update their current systems to support reliable cold-storage and staging areas. These systems must be robust enough to meet low- and medium-temperature requirements, but also flexible enough to address the unique demands of click-and-collect fulfillment. Self-contained outdoor condensing units (OCUs) are ideal for adding refrigeration capacity to new cold-storage areas without affecting a facility’s existing centralized refrigeration architecture. Modern OCUs are also equipped to address difficult setpoint and humidity challenges. OCUs have compact footprints that allow for greater installation flexibility while combining advanced components with onboard controls to help maintain precise temperatures in difficult operating conditions. Proven scroll-compression technology helps these units deliver consistent reliability across a wide range of capacities (from 0.75 to 17 HP) to meet a variety of operational requirements. Electronic expansion valves, digital compression technology and specialized load-matching algorithms enable precise capacity modulation to match compressor capacity to fluctuating refrigeration loads during peak delivery periods. Condensing-unit controls provide demand-driven defrost cycles and humidity management to help combat repeated door openings of cold-storage rooms and refrigerated lockers. Seamless integration with facility management controllers enables remote monitoring, power management and predictive diagnostics to help operators quickly respond to, and even potentially preempt, refrigeration faults or disruptions in performance. Click-and-collect represents a tremendous growth opportunity for food retailers as consumers continue to embrace online grocery shopping. To succeed in this competitive arena, earn customer loyalty and capture market share, retailers will likely need to delight their customers with every transaction. These refrigeration strategies can help retailers deliver a seamless click-and-collect experience by ensuring consistency, freshness and quality with every order. A quick two-minute read may be all the time it takes to keep up with the latest developments taking place throughout the food cold chain and its shared industries. That’s why we blog frequently about trending topics, emerging technologies and proven strategies for success. As a foundation of our E360 platform, the Climate Conversations blog is designed to make sure you’re the first to know about new industry opportunities, issues and ideas. Based on this year’s traffic to our website, we’ve selected the 10 most popular blog entries we published in 2018 — information as relevant today as the day it was posted. R-290 and immediately saw a jump in energy-efficiency. Learn how this approach serves as a model for other progressive chains focused on natural refrigeration. Can Amendments to Apprentice Act Address the Technician Shortage? This blog is a short read of an ACHR News article regarding a possible solution to an enormous industry problem: the need for 115,000 new HVAC technicians in the U.S. by 2022. Each year, America’s college graduates riddle themselves with loan debt while pursuing white collar jobs — each with an average starting salary of $32,000. Yet, apprentice technicians earn an average starting salary of $60,000, and vocational students often enjoy subsidized training with no loans. The Apprenticeship Enhancement Act of 2017 could fast-track these apprentice programs, luring a new generation of motivated technicians into our industries. At the time this blog appeared, 10 EPA rulings targeting the commercial refrigeration industry were set to take place over the following four years. Since then, the landscape has changed dramatically, but many of these rules serve as the bases of new state initiatives and industry best practices. Regardless of which direction the regulatory wind will blow next, this blog presents a sensible, systematic approach to compliance, using collaboration and innovation to soften the impact of constant change. For the latest rulemaking on refrigerants, please view this regulatory update session from our most recent E360 Forum. Convenience stores have come a long way from displaying racks of chips and a Slushie machine. Drawing on a conversation with the editors of Convenience Store Decisions, we looked at trends such as the increasing emphasis on creating positive customer experiences and using inventory management tools to learn what customers prefer. The move to lower-global warming potential (GWP) refrigerants such as new alternatives to high-GWP HFCs seems inevitable. But they are not “fill-and-chill” solutions; these alternative refrigerants present new operating challenges. For example, some run hotter in both low- and medium-temperature applications, requiring compressor cooling equipment. This blog introduces a video outlining various performance issues and requirements, as well as emerging refrigerant alternatives. Natural refrigerants such as propane (R-290) are not new to the scene. In fact, in the early 1900s, early refrigeration systems were based on naturally occurring hydrocarbons, which combined excellent performance with one noteworthy caveat: flammability. When non-flammable CFC refrigerants arrived in the 1930s, natural refrigerants took a back seat until the environmental consequences of CFCs became apparent. In the early 2000s, researchers took a new look at R-290 as a completely GWP-free, high-performance refrigerant for low-charge commercial refrigeration equipment. When you spend years researching and designing a completely new compressor line that achieves an ideal balance of energy-efficiency improvements, environmental friendliness, reliability, safety and more, it’s OK to take a bow (and then get back to work). This year, the Dealer Design Awards recognized Emerson’s Copeland Scroll™ Fractional Horsepower Compressor line with its gold distinction, meant to highlight the latest, most innovative products in the HVACR industry and honor design excellence. As an introduction to Emerson Group President John Rhodes’ article on the need for tighter cold chain integration, this blog discusses how the internet of things (IoT) is connecting links in the global cold chain to drive food safety and freshness. Rather than a narrow focus only on the performance of disparate operators within the food supply chain, he encourages operators to integrate their data to build a truly connected cold chain. Combining the cold chain with big data gives operators a wide-angle view of where they can improve and innovate. Today’s unprecedented environmental, energy and food safety regulations have created challenges that have become increasingly difficult to overcome. In this blog and accompanying video, Emerson makes the case that the industry can’t afford to lose progress in the face of an uncertain, dynamic regulatory climate. When change is inevitable, create a breadth of product offerings, take the lead in stewardship efforts, and keep an eye toward innovation. That’s what we’ve done to help you find your way through this maze of change. The global HFC refrigerant phase-down has brought the natural refrigerant R-290 back into the spotlight. This blog tells the story of how one company, H&K International, put its head down to focus on creating successful R-290 based products. The company worked within the current charge limit for R-290 applications to create self-contained cases, condensing units and reach-ins. Learn how making the switch to R-290 is projected to save H&K’s customers almost $800,000 in energy costs over the next three years. We hope these blogs help keep you informed and address your most pressing challenges. Be sure to bookmark our blog page and visit it frequently to read our latest posts. You can also sign up to receive an alert whenever a blog is posted so you’re always up-to-speed.